An attentive citizen picked up the phone and reported what they saw, and made a difference this week. 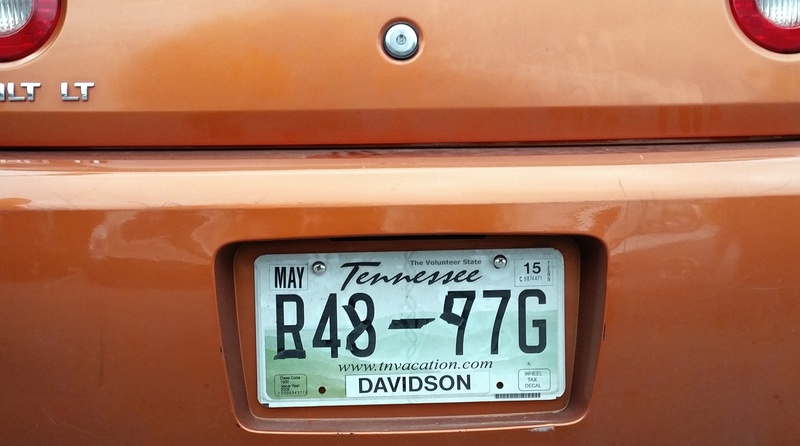 At noon on Wednesday, Franklin Police received a call from someone who witnessed a woman in Cool Springs placing black electrical tape on her license plate, making the numbers and letters appear different than they actually were. 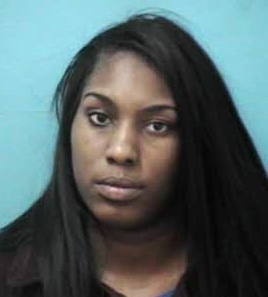 Officers located the car in the Target parking lot and arrested 25-year-old Teresa King of Nashville. King, charged with Altering/Forgery of Plates and Driving on a Revoked License is free on a $4,000 bond. It is not uncommon, in general, for suspects who have committed or are about to commit a crime to disguise or remove their license plate. Altering a license plate is a Class E Felony. Franklin Police commend the witness who reported this crime, and encourage residents who witness criminal or suspicious activity to contact police. 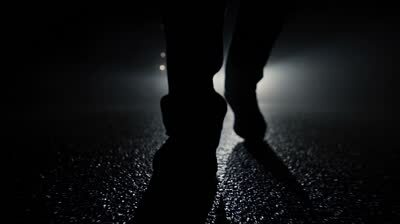 At 1:05 Tuesday morning, officers responded to the Cheswicke Farms Subdivision, after several residents there reported a prowler looking into car windows and entering unlocked cars. Horn honking caused by car alarms rousted neighbors and caused them to look outside. With the help of those neighbors, Franklin Police caught up with the suspect on Logans Circle. 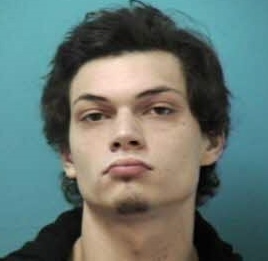 Twenty-year-old Luke Barrett, of Franklin, was arrested and charged with Auto Burglary, Drug Possession, and Possession of Drug Paraphernalia. Barrett is free after posting a $10,500 bond; he is due in court 12/18/2014 at 1:00 pm. Franklin Police credit alert citizens, unafraid to get involved, with Barrett’s quick arrest. Police urge residents to lock their car doors – even when parking in their own driveways. Lt. Verbosky, an avid equestrian, graduated from Father Ryan High School in 1968. Prior to joining the Franklin Police Department, he served in the United States Army as a Tank Commander in the Vietnam Era. In addition to Vietnam, he has served in the United States and Germany. Lt. Verbosky’s assignments prior to being promoted to Lieutenant in 1996 include Patrol, SWAT, Field Training Officer, Field Training Officer Instructor and Sergeant, and Sergeant over the Police Auxiliary. Today, Lt. Verbosky oversees the Patrol Division’s Bravo Shift (6am-4pm), SWAT, the K9, Traffic, and Flex Units, the Dive Team, and Mounted Patrol. Since re-introducing horseback patrol by Franklin Police in 2009, Lt. Verbosky has organized two mounted patrol training classes that drew mounted police officers from across the U.S. to Franklin. Lt. Verbosky is a member of the local chapters of the VFW and Elks. Lt. Verbosky will be honored at a reception at Franklin Police Headquarters, Friday from 2-4pm, where friends, family, and the public are welcome. Today, Franklin investigators returned to Road of the Roundtable in the Avalon Subdivision for a follow-up review of the area, following last week’s discovery of human remains. Several law enforcement agencies with unresolved missing persons cases have contacted us since the discovery. One of those agencies, the Metropolitan Nashville Police Department, accompanied us today. The investigation has remained very active since it began, and we continue to follow new leads that could help us identify the person who was found, and to determine what happened to them. Franklin Police are investigating a series of auto burglaries in two communities. During the overnight hours of Sunday night into Monday morning, at least seven unlocked vehicles were burglarized on Eden Park Drive, Pebble Springs Drive, Stoney Point Lane, and Keswick Grove Lane in the Ashton Park Subdivision – a gated community. Cash and other valuables were taken. While none of the stolen items were in plain view, criminals know where we often hide things. When they looked under seats, center consoles, and glove boxes, this suspect found exactly what they were looking for. This rash of auto burglaries follows four reported burglaries of unlocked cars in the Sullivan Farms Subdivision, eight miles away, late Friday night or early Saturday. Safe, trusting communities make ideal targets for auto burglars and other criminals. Despite Franklin’s low crime-rate, residents are urged to remove valuables and lock their car doors. Residents in both subdivisions are asked to review home surveillance system footage for clues that might help in these investigations. Anyone with information can call Franklin Police at 794-2513. 12,000 to 14,000 drivers who travel Mallory Station Road should soon see improved traffic flow at the intersections of Duke Drive and General George Patton Drive. The City of Franklin Engineering and Streets Departments are teaming up to utilize a new type of left-turn signal with flashing yellow arrows that offer potentially safer, and a more efficient way to establish right-of-way for left-turning vehicles at these intersections. The operation of this signal on Mallory Station Road is distinctive given its dual intersections, one on each side of the railroad crossing. The left turns are signalized on the external approaches, which are opposed by through movements on the internal approaches. To clear out the internal area when going to the side streets, the external approaches display yellow and red while the internal approaches have an extended green interval. 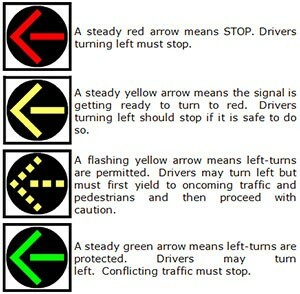 The flashing yellow arrow left turn feature will be used to overcome the potential hazards of solid yellow left turns against green interval through movements. Federal research has investigated alternative signal displays for situations such as these. The Flashing Yellow Arrow signal display is a four-section signal head that incorporates a green left-turn arrow display for protected left-turn movements and a flashing yellow arrow display for permitted left-turn movements. It will replace the current three-section head, which incorporates a left-turn arrow display for protected only left-turn movements. New signs indicating LEFT TURN YIELD ON FLASHING YELLOW ARROW will be installed adjacent to the new four-section signal heads. These displays have been approved nationally since 2009 and have been installed in parts of eastern Tennessee and throughout the state of Kentucky. Franklin Police will be on hand to observe the traffic flow the first few days to make sure drivers understand the new signals. Motorists who have questions or comments on this change may contact City of Franklin Traffic Engineer Carl Baughman at 791-3218 or by email at carlb@franklintn.gov. Franklin Police have no plans of returning to the Avalon subdivision today, where a comprehensive search operation concluded last night. Our investigation has shifted to an intensive review of evidence. In this next phase, we will employ forensic science in our effort to determine who this person is, and what happened to them; they have a story to tell, and it is our job to tell it – to be their voice. Anyone with information about this case is urged to contact Franklin Police at 794-2513.